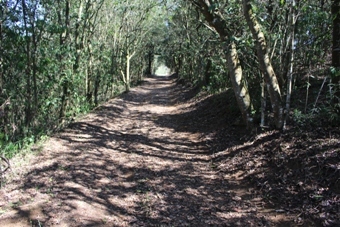 This section contains the indigenous forest and its trails. A large part of the Garden is covered by indigenous scrub forest. 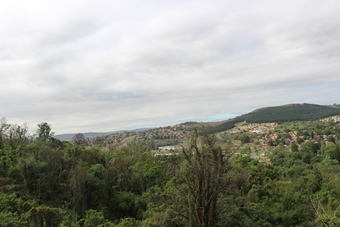 This forest type contains a mix of species from the more open thickets and thornveld areas to mist-belt forest trees from the higher altitudes. This makes for a very diverse forest, which attracts many bird species. A host of fascinating invertebrates and several mammals make the forest their homes. Animals such as duiker (a small antelope), genet (a small cat-like carnivore), otter, vervet monkeys(Chlorocebus pygerythrus) and porcupine have been seen here. Parts of the forest were eucalyptus plantations more than 30 years ago, and have since been successfully rehabilitated into scrub forest. A rare Impatiens flanaganiae, grows well in the forest section. It occurs naturally in only two localities in the Eastern Cape. Streptocarpus gardenii, which is widespread on sandstone rocks in forests in the eastern parts of South Africa, also thrives next to a small pond in our forest. A self-guided trail takes you deep into the forest through a variety of micro-habitats. Take the time to enjoy this special place. The Garden has two trails and two short walks that can be explored and they are all named after special features, animals or plants that are frequently spotted on the trail. 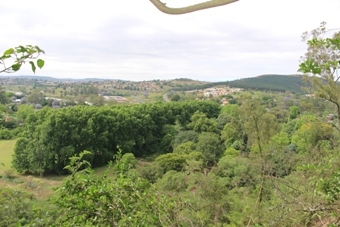 These include, amongst others, the Duiker Walk, Indigenous Tree Trail. Porcupine Walk and Bushmen Trail. The forest is the only place that enables visitors to have an aerial view of the Garden and it is an ideal spot to take pictures of the developed sections of the Garden and Plane Tree Avenue. 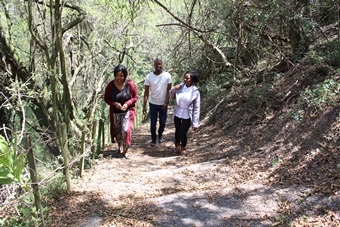 Bookings on +27 (0)33 344 3585 are essential for guided walks in these captivating trails. Visit our plant information website to read more about plants in our Garden.